It took longer than usual, but I wanted to give the weekly comics buyers a chance to snag the issue before posting my thoughts on Knights of the Old Republic #50, the final issue. There's a glimpse at my storyboard for the issue — high-tech, it ain't — and heaping helping of trivia for this issue, including the partial inspiration for Zayne's name. Read the issue first, of course! I don't have notes for Star Wars: Lost Tribe of the Sith #3 online yet, but here's something you can read right away: Star Wars: Crosscurrent author Paul Kemp and I discuss our work in this corner of the galaxy. Remember, if you haven't downloaded the story yet, you can find the simple PDF at the official site — and you can get the Kindle download from Amazon here. You can get the Sony ereader file here — and the Barnes & Noble version here. If you enjoy it, be sure to leave your review at the download sites for others! Fifty issues*, 1,108 pages — all comes down to today! *Oh, OK. There's a #0 issue and a Handbook... but anyway. Notes coming soon. In the meantime, enjoy — and share your thoughts here! Concluding a sequence of short pieces on the Knights of the Old Republic comics series, which ends Wednesday with #50. This is it! Star Wars: Knights of the Old Republic #50 goes on sale in stores in just a few hours. Thanks to all the readers who've followed along my "KOTOR Countdown" here on the site these last few days. It's a good way to wrap things up, and get online some of the commentaries about the series that I'd been planning to do over the years, if only time had been available. It was also fun to get to flip back through some of the issues looking for answers to your questions; there were scenes I'd forgotten about, and so much great art from the team. We were trying to do a lot of different things, and so there are several types of moments that will stay with me. Dramatically, Brian Ching's depiction of Zayne and Jarael's discussion in the rain in "Destroyer" and Dustin Weaver's presentation of Carth's speech after Serroco in "Days of Fear" are among the favorites. On the humor side, Harvey Tolibao's depiction of a Moomo Brother trying to actually think always levels me. Plus many of the Gryph moments, from Brian's "death-of-a-houseplant" sequence to Scott Hepburn's frenetic "that's-because-it's-a-WALL-Gryph!" shots. We've been gifted with great art all along; half the fun has been getting the issues to see how everyone's improved on my ideas. And thanks again to our wonderful editors at Dark Horse over the years — Dave Marshall, Freddye Lins, Randy Stradley, and Jeremy Barlow — and, certainly, everyone at Lucasfilm for their guidance and support. As creative experiences go, this has been spectacular. Nearing the end of a sequence of short pieces on the Knights of the Old Republic comics series, which ends Wednesday with #50, I hit the last round of reader questions about the entire series. I appreciate all the questions everyone sent — and while I wasn't able to get to everything (including some questions that will be answered in #50), I do read everything. I do blog posts on every release, so going forward, feel free to drop in again. Tyber asks: Is the ship from which the Taris Padawans launch into Rogue Moon's asteroid field aboard a Baronial-class yacht? Its image on the two page image and before the interior of the passenger hold resemble what is stated in the Campaign Guide (without image), so can you put these sources finally together? 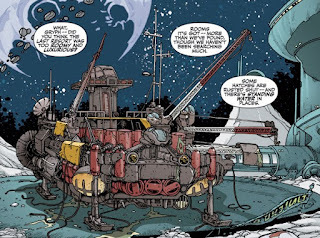 No, the Baronial-class yacht is Lucien's vehicle from the last page of #21. We see the four other seats inside. The shuttle in #3 is clearly a larger vehicle, and I don't know that we ever determined what it was. The Revanchist asks: If Revan didn't know anything about the Padawan Massacre, why would he tell Lucien: "You see that I was right now, don't you? The truth is written in blood!" Wrong blood. Remember Revan and Lucien's last conversation on Taris was about the Mandalorians, and Revan trying to convince Lucien that the Mandalorians were the true threat in the galaxy. Lucien rejected his arguments — and the Mandalorians invaded in force. That's the truth written in blood. Lucien's "not sure which truth you mean" indicated he still didn't think the Mandalorians were anything but a sideshow to the real Sith threat hiding out there somewhere, possibly Zayne — a view he espoused to the Council immediately afterward. 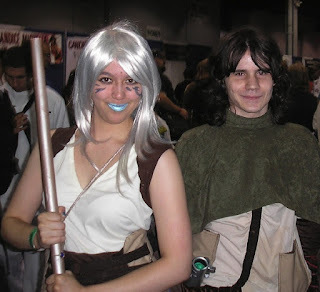 Lucien and Revan represent two competing camps, both trying to drag the Council in different directions; that's what "Homecoming" largely depicts. Anonymous asks: Q'anilia and Lucien seemed to be very close to each other. Were they in a relationship? We showed a relationship, and we hear Haazen laughing about it in #32. Now, it's not a particularly healthy relationship, but it is a relationship. DangerousDraays asks: Does the balding, dark-skinned human male appearing with the other Covenant Jedi in the epilogue story pages of "Vindication" belong to a certain long-lived lineage from Tatooine who also lost family in the Sith War? Not that I know of. Brian populated that scene. 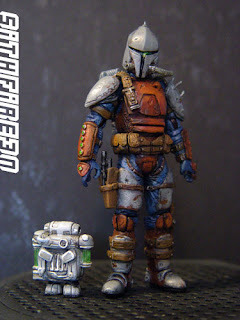 Daniel asks: Are you planning any ways to tie Knight Errant in with Knights of the Old Republic? Might we see a descendent of Zayne or Jarael? A charismatic Snivvian with the surname Hierogryph? Tying disparate parts of the continuity together isn't what the series is all about — and it's impossibly remote from KOTOR, anyway. You are closer in time to Alexander the Great than anyone in Knight Errant is to anyone in KOTOR! Conrad asks: Were there any events that made you go "What was I thinking?" after the fact? Well, I've said before I wish I'd left the name on Malak's immigration records a mystery — it was probably enough that we understood that he felt no connection to the identity he was given (and thus more apt to select a new name for himself). I only ever intended for the tongue-twister to be out there briefly before we revealed it wasn't his real name — but those few months before #31 were enough for it to wind up in a couple of reference works. 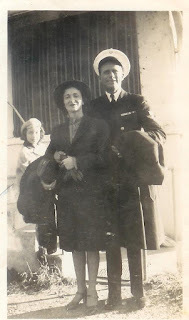 A couple of years now after we've established his name was only ever Alek, the surname is still online as the main one at a few sites; hopefully they'll all be properly revised. Hard to unring a bell with the Internet around! 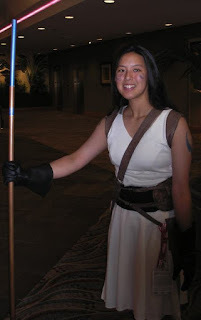 Inquisitor Jerec asks: Do you have a favorite secondary character that came from the games? I enjoyed writing Carth a lot — his scenes with Zayne had a really nice big-brother/kid-brother dynamic that we felt Zayne really needed at that point in the story. They certainly get along better than he does with your character from the game, light- or dark-side; Carth's been dealt a number of tough breaks by then. Sithspawn asks: What was Revan doing during the entire KotOR comics series? We know he parted with Squint to investigate the Mandalorian full-scale war preparations he'd had a vision about on Onderon and Dxun — and obviously, he spent a lot of time on Cathar at the dig. There logically would have been time involved in organizing and running the movement, but that leaves a lot of 3963 for other activities. Christopher Krycho asks: Are you planning to discuss what, exactly, the mysteries that Rohlan was digging for are? Rohlan already told us in #8. He doesn't understand why the Mandalorians took on the Republic, why they did it in an underhanded way, and why the entire face of the movement has changed under the current Mandalore. They're big questions, easily the quest of a lifetime. Nayayen asks: What is the type of ship that Alek escapes from Flashpoint on? Some original creation of Dustin Weaver's. It does not appear to be in the Knights of the Old Republic Campaign Guide , so I don't think it was ever named. Karl asks: If "Vector" hadn't accelerated events toward "Vindication," how long would it have taken to get to the climax of the fugitive arc? It wouldn't have been much different — there are post-Vindy capers that could have happened earlier, slightly modified, but I still wouldn't have wanted to tear much into Jarael's origin with Zayne's quest still going. Matt asks: Would you ever consider posting a few script pages from KotoR on your site? Sorry, but I don't release script pages. I do occasionally talk about the tools of writing here on the site. Andrew asks: What species are the Crucible guards on Osadia and Volgax? 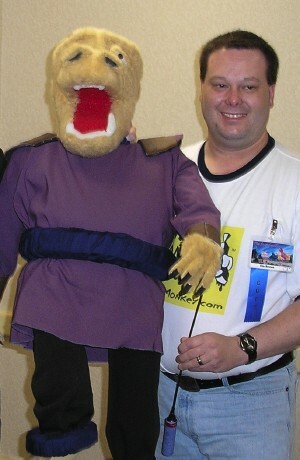 Brian depicted a lot of members of the Dashade species. There's no significance to how many there are, other than they might have done the best at battling their way to the top. Chani asks: There is a lot of speculation about whether Zayne and Jarael are in love or not (obviously as yet undeclared). Are they or aren't they? You'll have to ask them! Trudy asks: If you had to room with one of the characters from Knights, who would it be, and why? Well, it wouldn't be with the Moomo Brothers, I can tell you that! That's it. Thanks for writing, folks. The stories are obviously the important thing, but delving into the details is all part of the fun of comics. Don't forget to check in on our auction of a complete set of Knights of the Old Republic plus a copy of the out-of-print Knights of the Old Republic Campaign Guide for the role-playing game, partial proceeds going to The Hero Initiative. Beccatoria asks: What was Camper's business with the Crucible? I presume he was just doing some run for Adascorp who needed slaves for something or other and he saw the chance to bolt, but I could be wrong; was there every intended to be more to it? 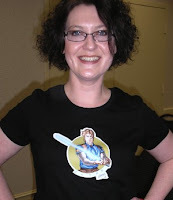 Beccatoria is a poster on TheForce.net who this past weekend has posted issue-by-issue thoughts from her read-through of the entire KOTOR series, interspersed with readings of my own production notes pages. I rarely read reviews when comics come out, but the post has been interesting reading (and it's jogged my own memory about a few things). Camper fled Adascorp before Jarael was born, so his encounter with the Crucible would have come later, when he was a free-lance fix-it man and inventor-for-hire. We can see how the inventor of the Camper Special might come in handy to a group that likewise wants to remain out of sight. Chantique tells us in #46 that Jarael stowed away with Camper on what was presumably his last encounter with the Crucible; on this one score, we can take her at her word. As untold stories go, this moment would have been fun to depict, but there really wasn't a place for it. Jediphile asks: You initially had the Jedi Order outlaw all of Revan's followers, which I felt was very consistent with the original game's plot. But as late as #42, the Council is supporting Revan's crusade. You explained the reasons for why you did this on Dark Horse's Star Wars boards, but seeing as how the series ends eight issues later without touching much on this, doesn't that leave the era with a plot hole? The answer is in #49, and Captain Telettoh's speech, which puts everything in a different light. 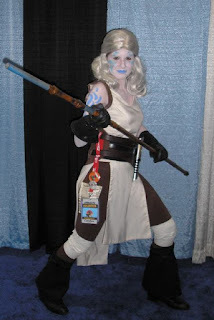 Approaching the era, there were a number of matters that needed to be reconciled, based on not just what we saw in the games, but what was in the New Essential Chronology , which said that "after the Cathar incident, the Jedi joined with the Republic fleet in head-to-head confrontations against Mandalore's armies, but the ineffectual Jedi Council called for caution, hobbling the war effort." The first issue, when Cathar happened, was dealt with in #42 — since Juhani's age made it impossible for the Cathar massacre to have happened in the "present," we came up with a way for it to have happened in the past and been a motivating factor for the Jedi. The second matter was more nuanced. After what happened with Exar Kun and Ulic Qel-Droma, it was difficult to see the Republic agreeing to allow any Jedi unauthorized access to its military might without the approval of the Council, no matter how bad things had gotten with the Mandalorians. They wouldn't know good Jedi from potentially bad. But just as clearly, the crusaders weren't getting to these battles in a Volkswagen bus, trailing behind the Navy. Something must have happened to change the landscape — and that something is described in Telettoh's speech, which is a more realistic description of events after Cathar than Malak and Ferroh gave. 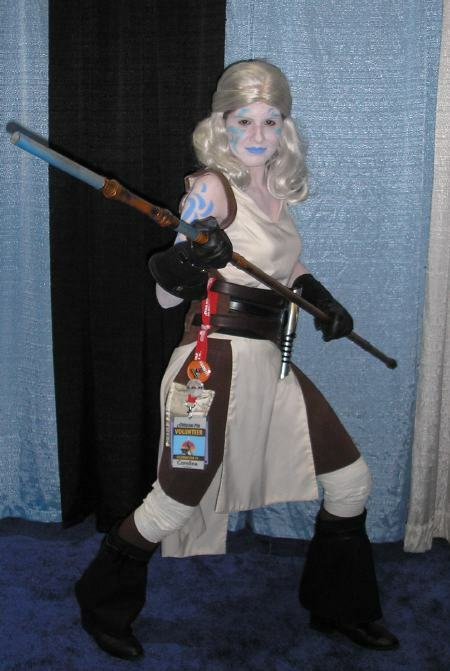 Jinger asks: In the video game, Juhani says that Jedi rarely tread on Taris. Was the Jedi Tower constructed after she left Taris? Ah, Juhani again. Vector suggests that the Covenant Jedi's small presence on Taris goes back at least for the duration of Xamar's search for the Muur Talisman. But the Holofeed in #0 also suggests that Jedi participation in policing is really only ramping up in 3964 — perhaps as the seers kick their students out of the Tower on assignments to get rid of them. This is seen as a rare and pleasing thing by the locals: Sowrs tells us that "if the number of Knights on Taris were to double overnight, it wouldn't trouble me in the least." Having Jedi around was surely one more reason they were excited about joining the Republic. So regardless of when Juhani was there, the comics tell us it wasn't a Jedi large presence, but a growing one, which the locals were beginning to depend on. Just not all locals — it's hard to see how five Padawans were going to get to all parts of the planet. Taris is a huge place, saturated with corruption — if you're living on the other side of the planet from Highport, the Jedi are not going to be a part of everyone's lives yet. Andrew asks: What information did Eejee Vamm get that prompted his murder? Not giving away the name of the individuals in question, the blood sample Suprin was analyzing partially matched what Adascorp had in their own secret records for a certain historical figure. Vamm didn't know what it meant, but he knew it meant something — and would be of interest to his master. Eejee's fate was only way to keep that incredible secret a secret. Nayayen asks: Is Swiftsure's different look in "Turnabout" simply Alan's different style or is it actually different from the others? It's a little of both. The Knights of the Old Republic Campaign Guide says that Swiftsure was the proof-of-concept model on which the other ships were based — but then it was refitted (including with the full new Vanjervalis package). And, presumably, it had to be refitted again after #32. 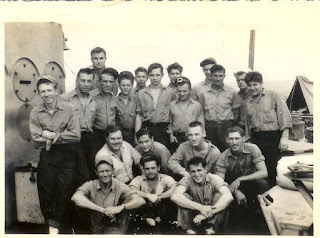 Taral-DLOS asks: Between the issues, the Handbook, and the Campaign Guide, five of the six Inexpugnable-class tactical command ships have been named: Swiftsure, Courageous, Indefatigable, Reliance, and Tremendous. What is the sixth? If it isn't named in the comics or reference work, it doesn't have a name yet. Anonymous asks: Where does the name Demagol come from? Is it derived from the word "demagogue?" That's a similar-sounding word, but I think I chose Demagol because it just sounded evil — as a contraction of "demon" and the real-life star system Algol, which always had a creepy sound to me. But what really creeped me out is that I later learned that the star Algol is sometimes known as the "demon star!" I'd love to look clever and pretend that I knew that in advance, but maybe it's spookier to imagine the muses were whispering devilish things that day! Last question round tomorrow. Not long now! Before I launch into the next batch of questions, I'd like to direct interested readers to what's close to a last-chance opportunity: In honor of the series ending, the Intrepid Meredith is auctioning the last spare complete set of Knights of the Old Republic we have — issues #0-49 plus #50 when it comes out this week, plus the Knights of the Old Republic Handbook #1 — plus a copy of the out-of-print Knights of the Old Republic Campaign Guide for the role-playing game. Grey asks: Did you read Jeff Smith's Bone? To me, KOTOR sometimes felt just a bit like it — huge differences, obviously, but there's something about the main characters (goofy kid, money-obsessed sidekick/mastermind, beautiful woman). ...Could it simply be that both series were largely influenced by collective Disney-influenced consciousness (as the money-obsessed guy was defined by Uncle Scrooge, for example)? Interestingly, Roy Thomas writes that George Lucas is a Barks fan, and that a common interest in Barks was discussed in their first talks about doing Star Wars comics at Marvel! Anonymous asks: Why was Saul Karath using a crutch during "Turnabout?" Karath was injured in the melee aboard the Arkanian Legacy in #21. We see Morvis leading him out and asking for Carth's help. Tyber asks: Can you distinguish the likenesses of Nahk and Tallie Sowrs? Who is the blond and who the brown-haired? I don't think we were ever very specific about it — #22 was to be their one and only appearance, and it was. I think I might have noted somewhere that Nahk was the older child, which would make him the brown-haired one. Ashley asks: The story has it that Gryph was originally intended to be an Ortolan, like Max Rebo. Were there designs or species of any of the other characters changed along the way? Usually I've got the species settled before we go to the artist, but occasionally I'd go back and forth on what creature to use. Toki Tollivar was probably every diminutive non-Ewok species before I settled on a Bimm. There are so many different choices, it's often hard to choose. What's nice is that some of the species come with traits that help improve the stories you're working on. Goethar Kleej went through a couple of different iterations in the plotting stage before I learned about how Gotals sensed the world around them; that suggested the entire Aubin portion of the story, and gave us the motivation we needed. Andrei asks: Who do you imagine Jarael sounds like? Catherine Zeta-Jones is probably the closest. Sort of a deep voice, with a lot of confidence. Your personal casting may vary! Another Anonymous asks: After the Covenant was taken care of, what happened to all their Sith artifacts, like the Helm of Dathka Grausch and Gauntlet of Kressh the Younger? Also, how did they manage to collect so many Sith artifacts? It isn't said what happened to their artifacts, although we do see the Helm incinerated on Odryn, and presumably Lucien had the Gauntlet long enough to help him survive the same fate. But we don't see what happened after that. We also don't learn how many more storehouses exist, or if everything that remained was in the chest Haazen had in the back room in #32. Certainly, Zayne could certainly have directed investigators to Odryn, but knowledge of any other locations would have had to come from someone else. We did suggest a certain compartmentalization of information in the Covenant, so even Xamar might not have known. As to how they managed to collect the artifacts, we learn that in #25: with Shadows playing archaeologist. Benwinn asks: When Gryph and Zayne visited the Sanctum of the Exalted, was the item Gryph was holding actually Ludo Kressh's pedicure set? Or was he just crackin' wise throwing out a random Sith name? If it really was Kressh's pedicure kit, was there any connection to a certain vengeful Sith lady from Lost Tribe: Paragon? It's actually his pedicure set, which means, yep, it is what you think it is! One of the fun things about writing Knights of the Old Republic was the impression it had on many readers, inspiring them to create things on their own. It was entirely a new experience for me to see readers creating costumes, action figures, and fan art based on characters from my stories. It was a rare thing in the beginning. There were two Jaraels and a "Dark Lucien" at Star Wars Celebration IV — and I wondered how many people in the hall knew who they were portraying. It'll be interesting to see Celebration V this year in Orlando, and what's happened to the number of KOTOR costumers. This is just a sampling of some of the images I had on file; there are many more I wasn't able to find. But I really do appreciate all the effort people have gone to on behalf of the series. Hopefully, I'll have some new springboards for folks in my next series! People often ask where I get the names for the characters and locations in the Knights of the Old Republic comics series. Mostly, I just make them up — using words that have interesting sounds. Occasionally, writers use names from real life — but there are problems with doing that. One is that you’re working in a world in which every word is potentially trademarkable, and every character copyrightable; whatever you create belongs to the rights-holder whose sandbox you're playing in, depending on how the contract is set up. As my friend Bob Ingersoll once noted in a Comics Buyer's Guide column after having appeared as a lawyer in several Marvel comics, he's now trademarked by Marvel Comics. 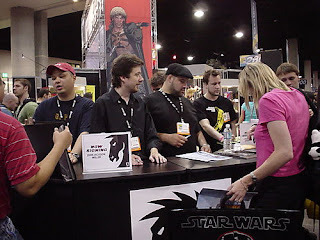 So while I was tickled that a fan at my first KOTOR panel in 2006 brought along a flier campaigning to have his online alter-ego, Hedec Ga, incorporated into an issue of the series, I just couldn't do it. But I always remembered it, and I still have the flier somewhere! There's also the matter of not wanting to actually depict any individual. Todd MacFarlane got into legal hot water with hockey player Tony Twist years ago over a character in Spawn he argued was based on him. That disclaimer in the front of the book you're reading and at the end of the TV show you're watching — the one that states that characters don't represent any person living or dead — it's there for a reason. Now, in my early days in comics, I did slip in a few familiar names. My mother became a senator interviewing Tony Stark in the Senate Subcommittee Hearings in Iron Man #76. The comet in #83 is named for high school friends Carlin Stuart and Ken Barnes. Another character that appeared in the Iraq storyline was named upon my good friend Major Michael Singleton, who was over there in the Army at the time and who had helped me with details about what things were like. But the General Singleton that appeared in Iron Man #81 looked nothing like him (and had a promotion). Neither character ever appeared again, but when I began writing Star Wars, I'd been working long enough to know that there was no such thing as a throwaway character. Every character with the tiniest mention wound up on Wookieepedia. So when it came to names my real-life resources down to a few physical place names. The best example of this is Jarael’s birth name, Edessa, which I plucked off my wall map of Greece. As a collector of maps and globes, I find some interesting spellings now and again, particularly in foreign atlases. Often the names are only starting points; to a large degree, you want words to sound like they're spelled, so that requires some rethinking. My one real case of "tributing" others in a KOTOR name was extremely indirect. Feln, one of Zayne’s Jedi Masters, has an appropriate name for a member of his Feeorin species: short, blunt, and to-the-point. But it also hides the names of my sister’s four children, some of whom had helped me through the Knights of the Old Republic video games. Just as advancing one letter forward in the name of the computer, HAL, from 2001: A Space Odyssey gets you the acronym IBM (just a coincidence, as any Clarke-phile will tell you), Feln's name held an Easter egg. Going back two letters from Feln gives you the first initials of Daniel, Christopher, Joey, and Laurie! And here we see another reason why you don’t want to use names of people you know in fictional works in any way — since readers know Feln's eventual fate. (And besides being cool-looking, he's not that nice a guy anyway.) It’s not exactly a tribute if the person whose name you use ends up dying or becoming evil. That came home to me when I was writing Knights of the Old Republic #20, in which a boy and his younger sister — the children of the constable of Taris — are rescued by Zayne from kidnappers. Given the children’s ages, I had briefly considered taking my own children’s names and anagramming them or somehow otherwise working them into this one-time cameo appearance. I soon thought better of it when I began plotting Vector and realized that their mother, the constable, would be turning into a rakghoul. Not something you want to do to the mother of anyone you like — or their characters! The constable was not based upon her anyway, nor were constable's kids based upon my own. So we named them something else entirely. 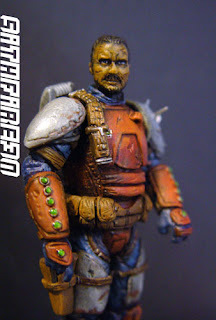 Interestingly, the final stretch of Knights of the Old Republic contains a fairly expansive use of a real person worked into a character: Pete Hottelet. The winner of the Penny Arcade Child’s Play Charity Auction, Hottelet earned the right to appear in a Star Wars comic book — and he first appeared, looking like himself, as Captain Telettoh in #42. (Three guesses how we came up with the name.) We used him again in #49, so it wasn't a one-shot deal. For charity's sake in the future, hopefully Telettoh can retire in good health! Knights of the Old Republic: The countdown begins! • I'll be attending the new Chicago convention, the Chicago Comic and Entertainment Expo, in April. I don't know yet whether I'll be making the Wizard show in Chicago in August, given its proximity to Star Wars Celebration. • Jazma Online has an interview conducted with me before the Knight Errant announcement. 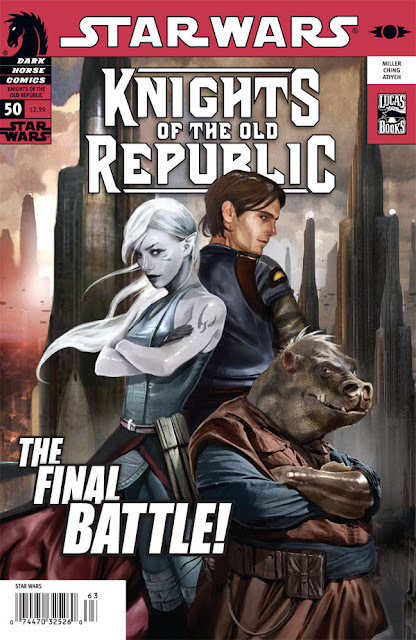 • Finally, tomorrow I begin counting down to Wednesday's final issue of Knights of the Old Republic with a blog post a day with some reminiscences about the series and a few answers to some of the questions I've had over the years. I'm clearing the decks somewhat for Knight Errant, so if you've got a burning question about KOTOR — something trivial or big-picture — click "comment" and ask your question here. I'll collect a few of the questions for a blog post later in the countdown. 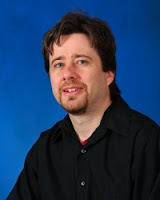 Double duty: John Jackson Miller pens Star Wars: Knight Errant novel and comics series! I didn't know when this news would break this week — but the feline is out of its sack. Yes, as just announced on StarWars.com and Dark Horse's site, I am playing iron-man football: Star Wars: Knight Errant is both my new comics series from Dark Horse and my first professional novel, for Del Rey. Wahoo! The comics series launches later in 2010. The novel, due in 2011, is not an adaptation of the comics series, but a brand new story set in the same continuity. 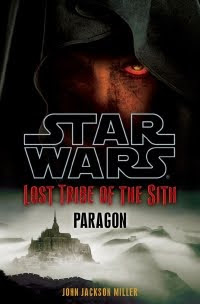 The series and novel both follow the adventures of Kerra Holt, a young Jedi knight living in what's been termed the Dark Ages for the Republic — a thousand years before Episode I, and more than a generation before Darth Bane introduced the Rule of Two. Sith are plentiful in this era. How do you keep order when chaos is everywhere? This is my first full-length novel — though if you're new to my work, you can see from here and from looking around the site that I've been around for awhile. If you're a comics reader looking for a taste of my prose work, check out today's free Lost Tribe of the Sith download — and if you're new to comics, click my Amazon page or on any of the books depicted on the site at lower left to check them out. I maintain a production notes and trivia page for everything I've ever done here on the site; just click the navigation at the top of the page. Obviously, there will be more news to come on this. There's a Star Wars Insider article on the way; note that there and in Knights of the Old Republic #50, the comic still had the working title of "Jedi" — but it's definitely Knight Errant. Check the two links above, and follow me on Facebook and Twitter for more information as we're ready to talk. I'm thrilled to have this opportunity to develop stories for both media at once. First off, a couple of interviews I did are now online. 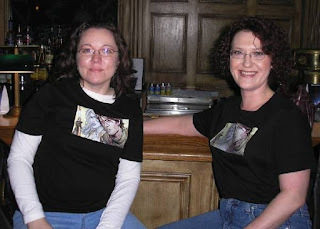 I spoke again with Philadelphia's Fictional Frontiers radio show about the end of Knights of the Old Republic, the beginning of Mass Effect, and other things; you can find the broadcast online here. A longer interview on the same topics has also gone online, as I was the guest for this week's The Legion of Dudes podcast. 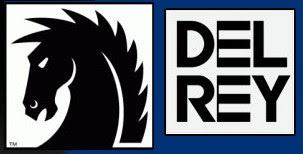 The production notes for Mass Effect: Redemption #2 are online as promised, and there's also a page online here now for the Mass Effect Redemption collected edition, slated for June. And it's not online at Dark Horse yet, but Amazon is already taking preorders for Star Wars: Knights of the Old Republic Vol. 9: Demon. Now, my understanding is that mass-market solicitations and those for the direct comics market are different things, but I would imagine from the shipping date (and the fact that Dark Horse has already announced its June shipping list) that you'll see the book in your May-for-July Previews. Be sure to reserve your copy now!